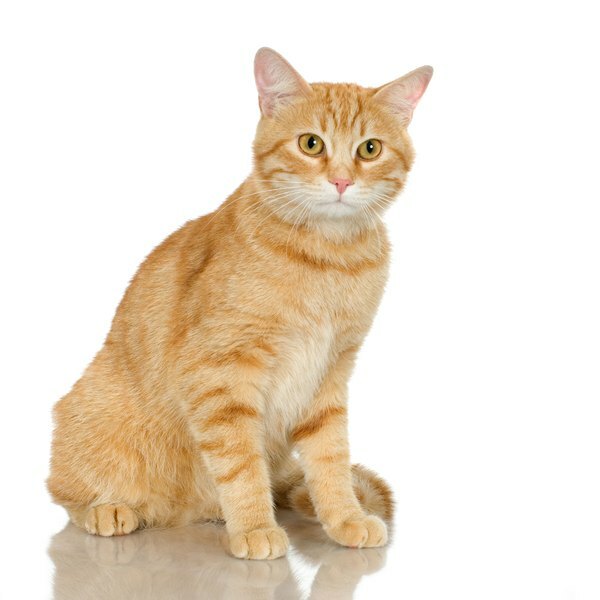 What Are the Effects of Depo Medrol in Cats? "Whatcha gonna do with that needle?" Friends of finicky felines (you know who you are) are frequently frustrated when trying to convince kitty to eat a healthy diet. Some cats have food allergies, making it tough to keep symptoms under control. This is one use for Depo Medrol, although no drug is without risk. Depo Medrol: What is It? Medrol and Depo Medrol are the brand names for methyl prednisolone. It's used to treat a variety of health problems that cause inflammation. Given as an intramuscular injection, it's usually injected in the cat's flank, or hindquarter, which some people swear is the easiest way to get drugs into a feisty cat. (Thankfully, you don't have to pill your already unhappy kitty). It's a corticosteroid , working much like acetaminophen in people, though acetaminophen is a non-steroidal anti-inflammatory drug. Corticosteroids are designed to simulate a hormone that occurs in the cat's adrenal cortex. It helps suppress the immune system and fights inflammation wherever it occurs in the body. It's frequently used for food or inhalation allergies, kidney problems, arthritis, asthma and a host of other conditions that cause inflammation in the body. Many kitties with severe food allergies that cause asthma and skin eruptions are the perfect candidates for these drugs. As the saying goes, there are always two sides to every story and the story of Depo Medrol use is no exception. When a specific medication produces a relatively inconsequential ramification, even if it's bad, it's called a side effect. Side effects normally do not cause the cessation of the use of the drug, but may lead to your vet adjusting the dosages to see if a lower dose is just as effective without producing side effects. When a drug causes a serious problem, or interacts with another drug, it's known as an adverse reaction. Adverse reactions can be so severe that it necessitates stopping therapy altogether. Both side effects and adverse reactions can occur in one patient. The use of Depo Medrol must be carefully considered to be sure the benefits outweigh the risks. Long-term use should be discouraged, but that's not always possible. The benefits of Depo Medrol are fairly obvious and occur in short order. It can seem like a panacea and, indeed, it's given by vets who haven't yet made a definitive diagnosis but are seeking to reduce inflammation quickly. The first thing you will notice after your cat is given a shot of Depo is his seemingly excessive thirst and, since what goes in must come out, increased urination as well. His appetite may increase, leading to weight gain, and kitty may become irritable and agitated. Your fuzzy friend may look like he's developed a beer belly. Lethargy occurs in some cats, but seriously, with some cats, how can you tell? More severe reactions include vomiting and diarrhea and a mild form of ataxia -- loss of muscle control. Depo can also stunt the growth of younger cats. Depo is sometimes given as a one-dose shot that does the trick, or it can be prescribed on a regular basis. For example, a kitty with allergies may need to be given a shot every six to eight weeks. The vet may even teach you how to do it yourself if it appears this is to be a long-term therapy. If Depo is given for a long time, it could lead to Cushing's disease and ulcers in the alimentary canal. It should never be given to pregnant cats, cats being treated for certain types of mange, hypothyroidism or pancreatitis without careful consideration. Avoid giving your cat vitamins or other drugs without first talking to the vet. Being that Depo suppresses the immune system, infections can become invasive. As with any medication, watch your cat carefully and report any unusual behavior right away. Can Male Cats Get Mammary Tumors? What Percentage of Calico Cats Are Male? Are Hard-Boiled Eggs Dangerous for Cats?